Melinda is a dedicated community activist and social change leader committed to equity and inclusion, having recently worked as Executive Director for a local child poverty initiative as well as for the Mental Health Commission of Canada. She brings extensive knowledge in service delivery enhancement through her experience of building organizational effectiveness by creating socially inclusive structures. 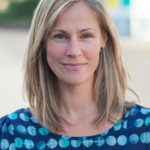 Melinda holds a Bachelor’s degree in Anthropology from the University of Western Ontario and a Master’s degree in Public Health from Simon Fraser University where her graduate work focused on the importance of community inclusion for people experiencing homelessness and mental illness. Melinda strongly believes that collaboration, innovation and collective impact can make our communities better places to live – where all people thrive, not just some.